Recently we stumbled across this informative (and entertaining) article about the Top 10 Myths About Bed & Breakfasts. We just had to share it with you! 1. There is no privacy. The vast majority of inns, and all of the good ones, have plenty of privacy. Your room should be quiet and free from interruption. You won’t be forced to interact with other guests, nor will you have to sit down with the innkeeper and look at old family photos. At a small inn, you may be able to go through your entire stay without ever seeing any other guests — try that at a hotel! Innkeepers tend to be very concerned with their guests’ privacy and do everything they can to respect it. 2. The innkeepers are hiding. This is almost the opposite of myth #1. Some guests are concerned if they don’t see the innkeepers when they return from dinner, or sometimes even at check-in. (Some inns leave a key in a pre-arranged spot to facilitate a late check-in.) In most cases, the innkeepers live in the same building that guests are staying in, so they’re never too far away. They’re probably just trying to respect your privacy. 3. You’ll sit with strangers at breakfast and have to make small talk. It is true that sometimes breakfast is served at one or two large tables, so guests who don’t know each other may sit together. But in all the times that my husband and I have stayed at B&Bs, this has never been a real problem. Most people don’t try to force conversation when it becomes apparent that you’d rather enjoy a quiet meal. If it does become a problem, you can talk to the innkeeper about it and time your future breakfasts so that you’re almost sure to be alone. 4. B&Bs have staff and a front desk clerk on duty 24/7. In most cases, particularly with inns of less than 10 rooms, the innkeeper/owner is the only person (or couple) working at the inn. Sometimes, they might have a maid help with room preparation in the morning, but by and large that person is handling everything. This means that you should arrive on time, or at least call if that’s not going to be possible. Innkeepers often plan their day (including shopping for your breakfast foods) around guests’ arrival times. 5. Innkeeping is a hobby. Most innkeepers couldn’t make a living just by running their B&B, but that doesn’t make it a hobby. It is a serious business with many facets. 6. Breakfast is simple to make, and innkeepers can just whip something up. Most B&Bs plan breakfasts days or even weeks in advance, so you need to let them know ahead of time if you have any special dietary needs or restrictions. Going back to myth #5, the innkeeper is often also the cook, the waiter and the dishwasher. The best breakfasts I’ve ever eaten have been at B&Bs, and that didn’t happen by accident. 7. B&Bs are very expensive. Not necessarily. There are some expensive B&Bs, but there are also some very affordable ones. It depends on the inn’s location, amenities, and other factors. But if you’ve avoided looking at B&Bs as an option because of the cost, think again. In New York City, for example, high-quality B&Bs are very competitive with hotel prices. In areas less often visited by tourists, B&Bs can be an amazing bargain. 8. Business travelers can’t stay at B&Bs. Many B&Bs have all the amenities important to business travelers, and many will offer a discount for an extended stay. This might have been true 10 or 15 years ago, and is still true to some extent – but many B&Bs now cater to corporate travelers. If they are, it’s not because they’re innkeepers. Although they might own beautiful homes which have been restored and immaculately decorated, most innkeepers don’t even make all their income at the inn. If a B&B has less than 10 rooms, the chances are very good that the innkeeper, the innkeeper’s spouse (or both) has outside income. 10. There will be strange rules and a curfew. Sometimes an inn will have rules that mystify me. But I’ve never stayed anywhere that had what I would call “strange” rules. And no B&B has ever had a curfew. Innkeepers will sometimes ask you to be quiet if you come back to the inn late, out of respect for other guests. Make sure you read all of an inn’s policies on their web site before making a reservation and you should never be staying at a B&B with truly strange rules. Innkeepers are not control freaks — they want you to have a great time, and they want you to come back. Looking for some quick, DIY crafts to spruce up your home for the holiday? Here are a few (some even kid-friendly!) ideas to get you on track! All you need is a white t-shirt, red rickrack, blue ribbon, fusible tape, and an iron to make these quick shirts for you or your kids. Visit the above link for how-to and pictures. This easy wreath can be made with about 100 clothespins, red, white, and blue spray paint, white star stickers, and a metal floral wreath. This wreath would make a great addition to any front door! Just by using some empty tin cans, red & white ribbon, blue spray paint, star stickers, and some twine, you can manage to create a cute addition to your front porch or living room. The kids can even help with this one! Click on the link above to read the full instructions and photo how-to. 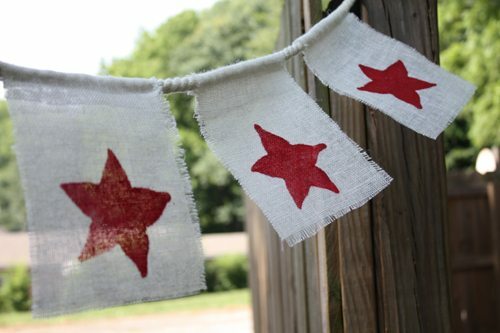 A star fruit cut in half and some red and blue acrylic paint makes this DIY project a breeze. When you and the kids finish with this simple craft, it can actually be hung up to blow in the breeze! Check out the website link above to find more instructions. Jim and I met long after his two year venture with Peace Corps and I still like hearing about his experiences for those years. Last night was another one of those opportunities when he was the speaker for Blackstone Rotary Club. He opens the meeting speaking an incomprehensible string of sounds.. and using mime. Repeating over and over, we start getting what he was talking about. And then he explains, that’s how he learned Marshallese. Jim joined Peace Corps right out of college going to San Jose for an introduction… or as he put, they worked very hard at trying to talk those interested into backing out…. The interviewers were former Peace Corps Volunteers and knew the hardships first hand. He was told he was going to be all alone and isolated without other Americans for two years. That didn’t daunt him. He then when to Hawaii for 10 weeks of training. Hawaii??? That a tough training site, right?? Jim then went to an island in Central Pacific with only 200 people and lived with a family that spoke no English. He job assignment was to teach English as a second language (TESL) . He continued to tell the Rotarians about foods eaten (fish, coconut, and lots of commodities – canned bologna and Spam), fishing adventures, how he lived on the island, and live among the Marshallese. Peace Corps is celebrating 50 years this year – thank you, Jim, for sharing your Peace Corps experience with me again and with my fellow Rotarians! 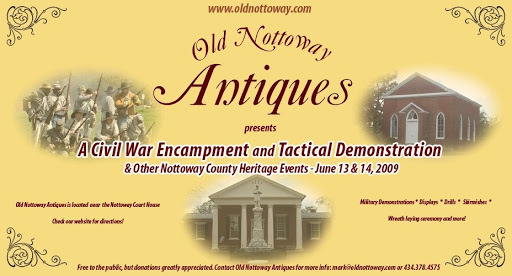 Come to Nottoway Court House, Virginia, June 13 & 14, 2009 and enjoy a Civil War Encampment! There will be lots of activities for all ages to enjoy. Stay at The Grey Swan Inn Bed and Breakfast during this weekend event and continue the Civil War theme with breakfast foods designed around foods served during the mid-1800’s. Let this Valentine’s Day bring your marriage back to its honeymoon luster. Love never dies, it just needs to be polished. Rainbow Arriving Workshop for Marriage Renewal will focus on understanding and practicing the powerful regenerative techniques of the wisdom teachings of east and west that can help you make your relationship workable for greater personal awareness of who you are as a joyous being. You will discover how the relationship of marriage can reveal to you the keys that will unlock the happiness you know is just beneath the surface of your love for each other. Those who practice wisdom together expand their wisdom together. Discover how your marriage can give birth to all you know you can be. The workshops will include DVD intensives with world spiritual teacher Eckhart Tolle and meditation master teacher Jack Kornfield. You will also learn an easy energizing stretching and breathing routine you can do together or separately to open portals of awareness within. And you will learn how to make the healing power of meditation portable so that you can transform stress in your life into opportunities of personal healing and rejuvenation. “Can one workshop do all that?” you may ask. It can if you expect a rainbow to arrive in your life. The Retreat and lodging is available for up to 5 couples and will include a full breakfast on Saturday and Sunday mornings as well as beverages and snacks at the Inn. Rates for retreat and lodging from $398 (double bedded room), $420 (queen bedded room), and $465 (king suite). There will be a 3 couple minimum for the retreat. Call The Grey Swan Inn Bed and Breakfast at 434-292-3199 for reservations and further information. Ed Conley, 72. is a photographer and yoga/meditation teacher in Blackstone, Virginia, where he lives with his wife, Tilly, a native of Blackstone. From the early 60’s Ed was consumed by hunger for truth in in 1968 had a profound and life changing awakening through a connection with the world teacher Krishnamurti. In the 70’s he found a direction for his journey through association with Alice Christensen, American Yoga Association, and Swami Muktananda of Siddha Yoga. Ed and his wife ran a meditation center for Siddha Yoga in Cleveland Heights, Ohio, in the late 70s. Having settled in southside Virginia in the 80s, Ed began teaching yoga in Blackstone, but his practice had not matured yet and all of his interest turned to feature writing for the local paper, the Courier-Record, and photography, Leaving the newspaper in 1994 Ed devoted all his energies to building a photography studio. In 1986 a connection was made with Swami Satchidanada at Yogaville in Buckingham, Virginia. And in 2005 during a visit to Yogaville that initial connection opened into a dynamic spiritual awakening that has transformed Ed’s life and channeled all his energies into writing and teaching yoga/ meditation full time. ne. Ed is currently designing workshops and yoga classes for the Thrive Health Center opening in 2009 in South Hill, Virginia, and teaching yoga classes at the community college. 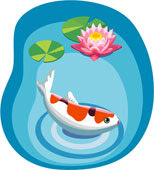 Ed’s driving interest is to make the healing principles of yoga and meditation workable in our busy modern life. The vehicle for this teaching are the Rainbow Arriving Workshops that custom fit the teachings of yoga to specific populations. 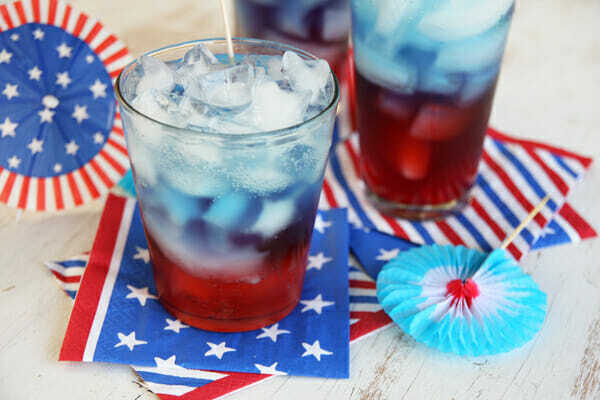 drink for a small donation of $5.00. and HELP support Madeline’s House. Other donations will be accepted at all Blackstone Citizens Bank & Trust Company locations. These items may also be dropped off at The Grey Swan Inn Bed and Breakfast – please call in advance: 434-292-3199 Need someone to pick the items up? Give us a call!!! This workshop is designed to help you with water quality, aquatic weeds, pond management tips, and build a cage for caged fish production. Pre-register by Friday, October 10th to the Brunswick County Extension Office at 434-848-2151 or Nottoway Extension Office at 434-645-9315. Pickett Theatre is now open!! The Grey Swan Inn Bed and Breakfast will be celebrating its first anniversary under the management of Jim and Christine Hasbrouck on September 2, 2008 from 2:00 PM to 5 PM. A ribbon cutting ceremony is scheduled for 3:00 PM.The inn is located at 615 S. Main St. in Blackstone.The public is cordially invited to this event which will also include tours of the home. The Hasbroucks moved to Blackstone from Baltimore MD in August 2007.Jim had recently retired from the USDA Forest Service after a 34 year career in Human Resources.Christine occupations included stints in medical administration, travel, and personal sales.The couple took a number of courses in the operation of a Bed and Breakfast over the past few years then set a course on finding a suitable establishment. Blackstone and the Grey Swan Inn fit the bill. This charming home was built in 1902 by Douglas Longstreet Tuggle of R. W. Tuggle & Son Tobacco Company of Blackstone, Virginia, for his bride. It is a contributing property of Blackstone’s Historic District which is listed on the National Registry of Historic Places. The home was converted to a Bed and Breakfast approximately 15 years ago and was formerly owned and operated by Fred and Nancy Jo Sibel until the Hasbroucks assumed ownership in September of last year. The Inn offers a comfortable and friendly atmosphere for the weary traveler including a full gourmet breakfast each morning of their stay.To many of their guests “It’s like coming home when I’m on the road”. Some of the inn’s amenities include free wireless internet, flexible breakfast hours, leisurely moments on the front porch, televisions in most rooms, freshly ground coffee, and lively conversations with the owners and other guests.The addition of online reservation services on The Grey Swan Inn’s website (www.greyswaninn.com) add to the convenience for the savvy online traveler. The innkeepers are member of Blackstone Chamber of Commerce, BBAV (Bed and Breakfast Association of Virginia), PAII (Professional Association of Inns International), and recently became qualified for Virginia Green Lodging.The Grey Swan Inn Bed and Breakfast can be found listed Virginia.org – Virginia’s official tourism website and has been featured on Home and Garden Television (HGTV). Nottoway High School Mini AuditoriumFor all Community Partners!! Blackstone Fire DepartmentBe a part of history in the making! Learn how you can become a Blackstone Ambassador!